It’s time to put this issue to bed once and for all! And we can do it with science! A HUGE meta-study  or “meta-analysis” (which just means a study of all the studies) has put together the results of 49 “How much Protein” studies carried out on 1863 subjects. 1.62g of protein per Kg of bodyweight seems to produce optimal levels of muscle growth. That’s comes to about 0.74g protein per pound! If you are 200lbs, that comes to 148g. NOTE: Please ensure that you are actually stimulating growth in the gym in the first place. All the protein in the world will not build any muscle if your workout is not intense enough. 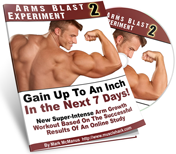 Use a high-intensity, growth stimulating workout like my free THT training – click here to download it. Ok, interesting study results. But other meta-analyses have found higher recommendations – above 0.8g per pound. And then there’s the industry-accepted recommendation of 1g per pound – which I also use and recommend. These figures are mean averages. And there are always people who are outside the norm. You could be one of them! You might just be an “outlier”. 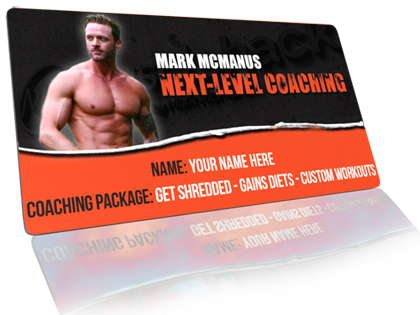 By taking 1g per pound, you will have something really valuable – certainty! Wouldn’t you like the certainty of knowing that your body has all the protein it needs to build muscle at a maximal rate? Again, why take any risk with this? Go ahead with 1g/pound and relax safe in the knowledge that you’ve done all you can And please be aware that getting this level of protein is even more important when you’re on a shredding diet to get a six-pack. You’re at increased risk of losing muscle when cutting – so get that protein! 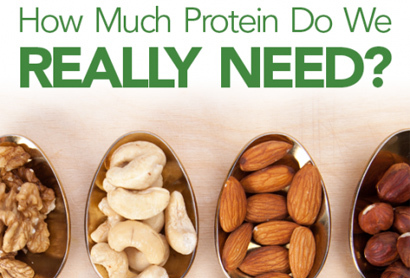 What would happen to excess protein? Good question. If you build muscle with 160g and you take in 180g per day, what happens to the other 20g (80 Calories) every day? Well, in order for it to end up as fat, it first needs to be converted to glucose (carb) and then from glucose to fat. These chemical conversions cost energy, so you’d have a lot less than 80 excess Calories by the time it becomes fat. BUT…it appears that the body doesn’t want to do this and ends up converting excess protein to glycogen and storing it in the muscle. 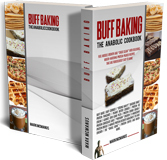 See this study I wrote about that found that excess protein does NOT end up as stored body fat. How cool is that? BY THE WAY…not all sources of protein are equally as good. Some have very low bio-availability i.e. your body just can’t use the protein to build muscle. Some proteins are incomplete i.e. they don’t contain all the amino acids. So I have put together a list of the 5 very best whole food protein sources for building muscle. Enter your details below for immediate access – don’t worry, I operate a completely zero-spam policy. Reference  Robert W. Morton, et al. “A systematic review, meta-analysis and meta-regression of the effect of protein supplementation on resistance training-induced gains in muscle mass and strength in healthy adults.” British Journal of Sports Medicine, 2017, July 11th. Great to see the science on this. Puts my mind at east about it! Hi Mark would this be 1g per pound of lean mass of total mass ? @Justin. Total body weight, brother. Is it 2 gram of protein per Kg of LEAN bodyweight? @Martin. It’s 1g per Pound total body weight. The study found 0.62g per KG of total body weight, not lean mass. Hope that helps. Thanks for another interesting article. Comes at a great time for me as I plan my macros for the next few weeks! Is there any solid research on any problems associated with these levels of protein consumption? I’ve read from various sources that suggest much lower levels (about half) are as much as we should ingest. As someone who has been told they may have a compromised liver, it’s really difficult to decide what level to aim for! @Stephen. I’ve looked into the claims about “dangers” of protein consumption and they are baseless…except those with existing kidney problems. Apart from that there is no research to suggest anything dangerous at all. @Darshan. I really don’t think they would. They’d still need above-average levels of protein, but they aren’t producing the same level of microtears in the muscle fibers, so there’d be less repairing (and growth) going on. It’s more about neural adaptations for those guys.